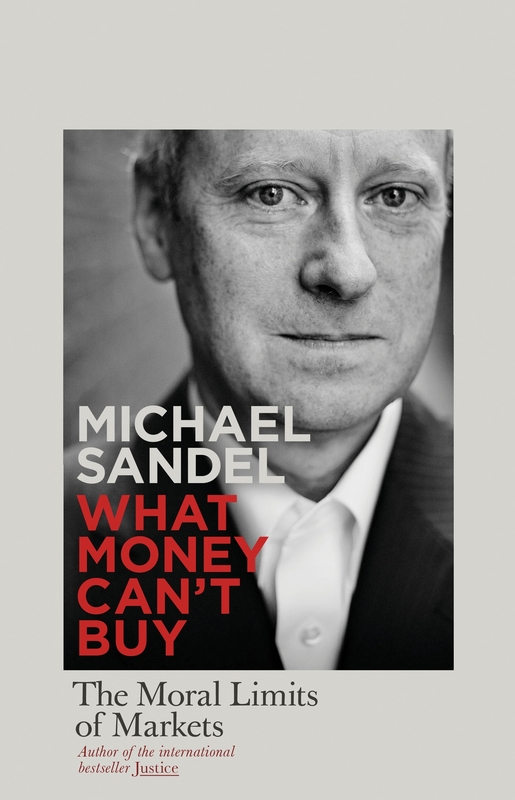 Michael Sandel’s What Money Can't Buy : The Moral Limits of Markets aims to awaken the public to the increasingly perverse role prices play in our lives. Everything appears to be up for sale. We appear to have moved from having a market to being a market. This triumphal encroachment of the price mechanism in every facet of life has been defended by its proponents as necessary for our “social good”. Sandel believes it’s precisely the opposite. Far from being neutral, as usually assumed by economists, prices corrupt the good things we value and care about in life. Reliance on prices diminishes social value hence the urgent need for everyone to take a step back and decide the moral limits of markets. For in doing so we are ultimately defining what society we want to live in. According to Sandel, the increasing reliance on the price mechanism could be socially tolerated if it was a true measure of value. Unfortunately not only is broadly accepted that prices can be poor signal of "social value", but relying on them as signal of value ignores the important consideration that for certain goods the attachment of prices diminishes their value, which in turn robs society of their worth. But even for goods where prices have a role to play, interventions which act solely on that basis ignores that markets are not merely mechanisms, but also embody certain norms valued by society e.g. shared responsibility, respect. It follows that interventions that may increase material wealth may come at the expense of undermining such norms. This raises the important question on what basis are trade-offs to be made between market and “non-market” norms in policy making. Such issues highlight an important dimension often ignored by some economists: Market reasoning and moral reasoning are interlinked. Implicit in the economic utilitarian framework is the moral assumption that society’s goal is to maximise total welfare. However, it is not clear why society should maximize total welfare at all. Sandel observes that some economists usually defend reliance on price based solutions because of the misguided view that virtue is in short supply and therefore need to be conserved. The proper response to scarcity of virtue, argues Sandel, is more encouragement of it. Virtue is a like muscle, it grows with every exercise. Failure to allow space for virtue diminishes it rather than conserving it. The obvious challenge is that in a plural society different people will not only have different conceptions of virtue, but also different visions of what society they want to live in. How is consensus reached? Sandel acknowledges the question but suggests the bigger challenge is that this precise question is currently not asked in public debate! For fear of disagreement many avoid bringing moral and spiritual convictions in the public square. The failure to do so is leading to a market triumphalism that continues to erode the very fabric of our society. So in the end, Sandel’s main policy prescription is more public debate and a little bit more courage for those with stronger moral convictions. The diagnosis of the problem is difficult to fault, but the prescription will certainly disappoint those who prefer to see the end from the beginning. But that is an impossible feat given the general complexity of the issue. Sandel’s assessment should rightly be judged on the extent to which he successfully challenges current thinking not whether a full alternative has been developed. The gauntlet has now been successfully laid down against everyone to explore further how to ensure different conceptions of the “good life” are successfully integrated in public discourse alongside the dominant utilitarian conception that underpins modern approaches to public policy. Sandel’s point, which makes hard reading for economists but can’t be easily dismissed, is that by their sheer intellectual dominance of policy making process, economists have imposed a utilitarian narrative on the public that may be damaging the social good, now it’s the public’s turn to join the debate about what society they want to live in. A much more credible complaint is that Sandel does not discuss macroeconomic issues. Given that much of the current public discourse is focused on the role of markets and governments at the macro level it is missed opportunity. This oversight is more glaring given the otherwise excellent contribution the book makes on an important subject.